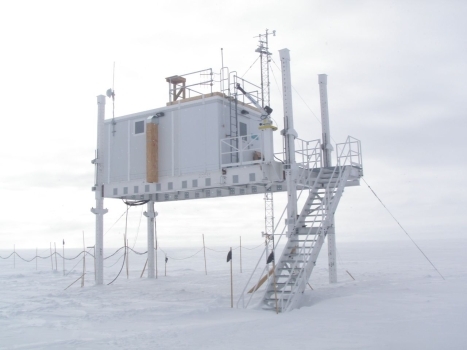 Mission: The Temporary Atmospheric Watch Observatory was constructed at Summit Station to serve as the home for NOAA's long-term observatory measurements and campaign observations with clean air requirements. The facility is located at the boundary of Summit's Clean Air Sector and is constructed of materials that will have a minimum of impact on the most sensitive of sampling instruments. Facility and Environs: Summit's Temporary Atmsopheric Watch Observatory is a 150 sqft, elevated, and heated facility located at the boundary of Summit's Clean Air Sector. 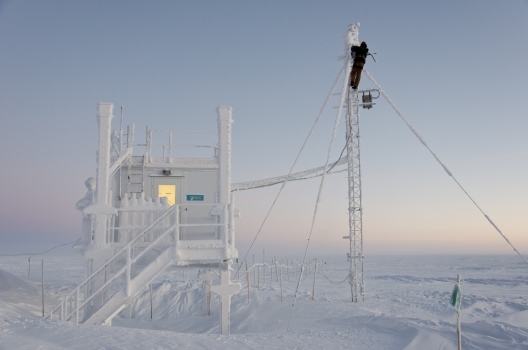 The facility is visited daily by two science technicians who are responsible for cleaning frost from outlets, keeping air sampling lines clear, and monitoring the overall status of the experiments. 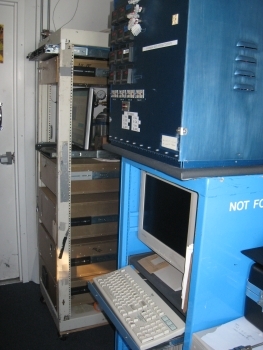 The facility has clean and conditioned power, with continuous on-line backup power, and a wireless connection to the station's internet. 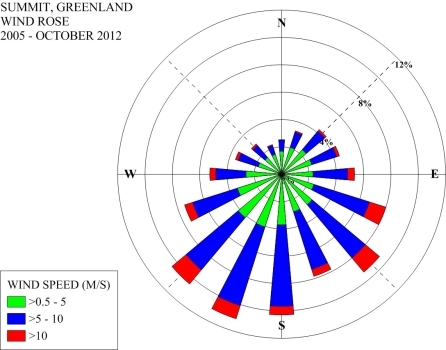 There is a 10 m tower platform attached to the building on which instrumentation can be mounted. This facility was moved in 2010 from its original location to its current location. Plans are in place to develop a permanent long-term facility with space for a full suite of NOAA Baseline Observatory instrumentation, with additional room for campaign science.